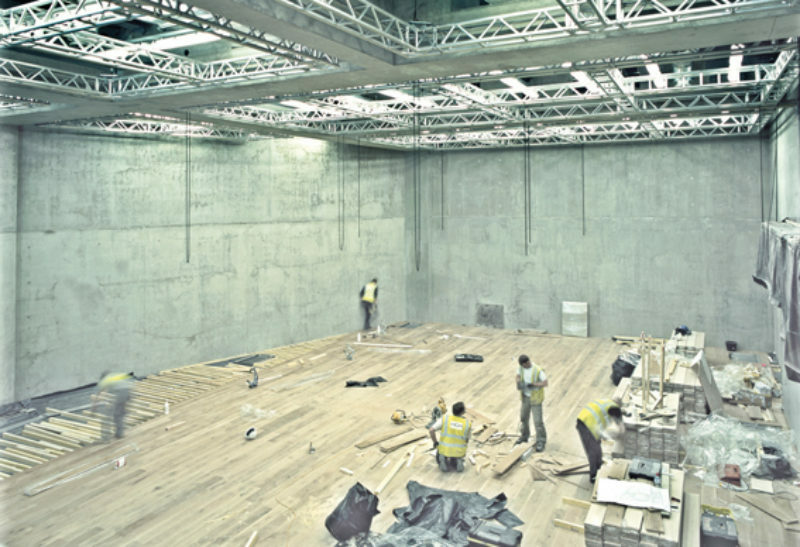 “Nottingham Contemporary opens on 14 November. It is primarily a centre for contemporary art, with four beautiful, large, sky-lit galleries. We also have a performance space, the largest room in the building, with a full light and sound system. We can do anything in there—artistically, educationally, socially. The building is by Caruso St John. At 3000 square metres it is one of the largest public galleries in the UK without a collection. It is built into the sandstone cliff that runs through the centre of Nottingham, and is the only green and gold building I know of. It’s a fantastic space for the coming together of artists and audiences of all kinds. Nottingham Contemporary will be playing a central role in the life of the city. We want and expect a high volume of visitors, most of whom will be new to contemporary art. They will be drawn there by the building, by our learning programme, by some of the more familiar art, by us having a great café-bar (designed by Matthew Brannon), and simply out of curiosity. We want to be inclusive. At the same time we want Nottingham Contemporary to be a journey, not a reiteration of the status quo. We see art today as an occasion for an unfettered discussion; one that crosses disciplines and social divides; that addresses us as thinking citizens, not simply as consumers.